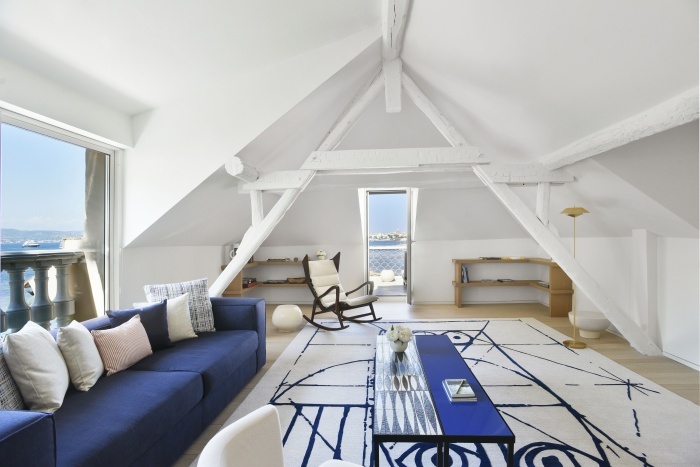 La Résidence de la Pinède will become Cheval Blanc St-Tropez on its reopening in May. Cheval Blanc St-Tropez will become the fourth Cheval Blanc Maison, after Cheval Blanc Courchevel, which opened in 2006; Cheval Blanc Randheli in the Maldives in 2013; and Cheval Blanc St-Barth Isle de France in the Caribbean in 2014. The Cheval Blanc Maisons invite a selective clientele to discover their exceptional locations, each of which has been chosen for its history, its culture and its surroundings, whether it is in a city of world renown or a preserved landscape far from the beaten path. Always with elegance — the mark of the art of French hospitality — each Cheval Blanc Maison displays a contemporary and bold style while being in harmony with the cultural and architectural norms of its surroundings. Cheval Blanc St-Tropez has been designed with the goal of embodying the unique lifestyle of the French Riviera, modern and refined, while maintaining authentic charm and human scale, much like a home to create a sense of intimacy and discretion. Today, Cheval Blanc St-Tropez has been deliberately downsized to welcome guests with 30 rooms and suites, allowing highly personalised services. Just at a short walk from the famous village’s bell tower, the Maison embraces its deep local roots. A native of St-Tropez, the architect Francois Vieillecroze knew to preserve the spirit of this traditional structure, perfectly situated next to the Mediterranean and in harmony with its ancient pine grove and inviting beach. Cheval Blanc St-Tropez, which has been owned by LVMH Hotel Management since 2016, will open its doors on May 16th.